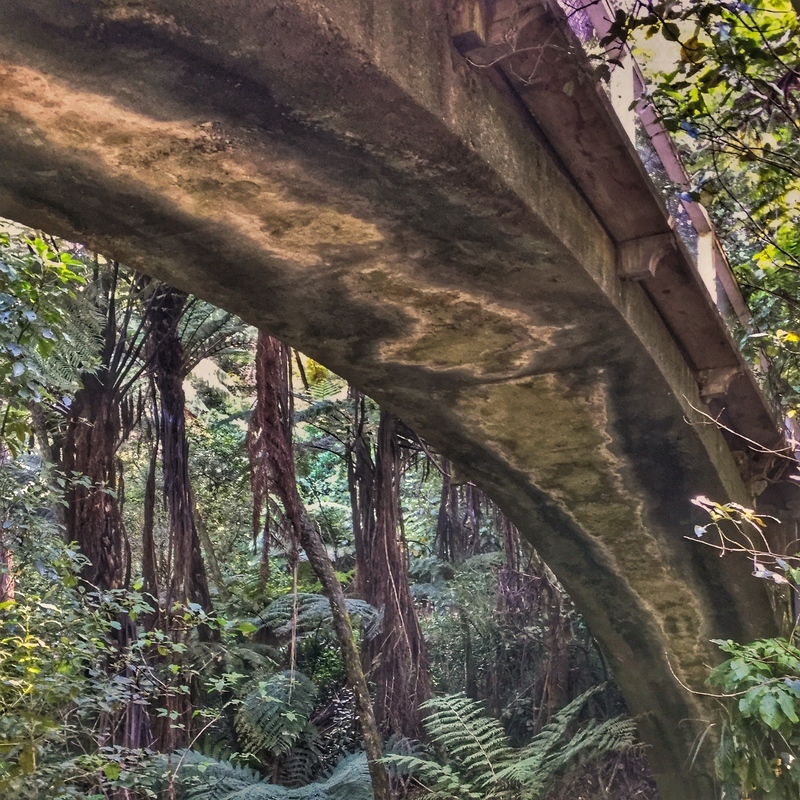 The Wellington City to Sea Walkway is one of the longer walkways in Wellington. A brochure says the walk is ~12km long according but with the constant incline and decline, it feels longer. An FAQ with common City to Sea questions etc. It’s a beautiful walk (on a good day). Before I jump in, I’ll recap what you can expect along the way. several parks and forested areas. Views from the top of the cable car. Yeow. It’s suggested the walk takes 6-7 hours, and it will if you decide to explore the attractions and/or stray from the path. It took me right around 4 hours and 30 minutes walking at a faster than average pace (hmmm, what’s an average pace?). For a comparison, the Northern Walkway is ~16km and took three hours on the dot. You’ll see the yellow signs (below) throughout the walk. You shouldn’t get lost as the next one comes into sight soon after you pass one. If there’s a turn to take, they make it obvious. If you can’t see one, return to the last yellow post you saw and try again. It might sound confusing, but it’s not. Considering the number of sights & terrain changes over the 12km, they’ve made the trail easy to follow. I loaded this map on my phone, which has a vague path (with written directions) as a backup. I found it a bit weird starting at the Bolton Street Cemetery (because death and all), but it’s not actually so bad. 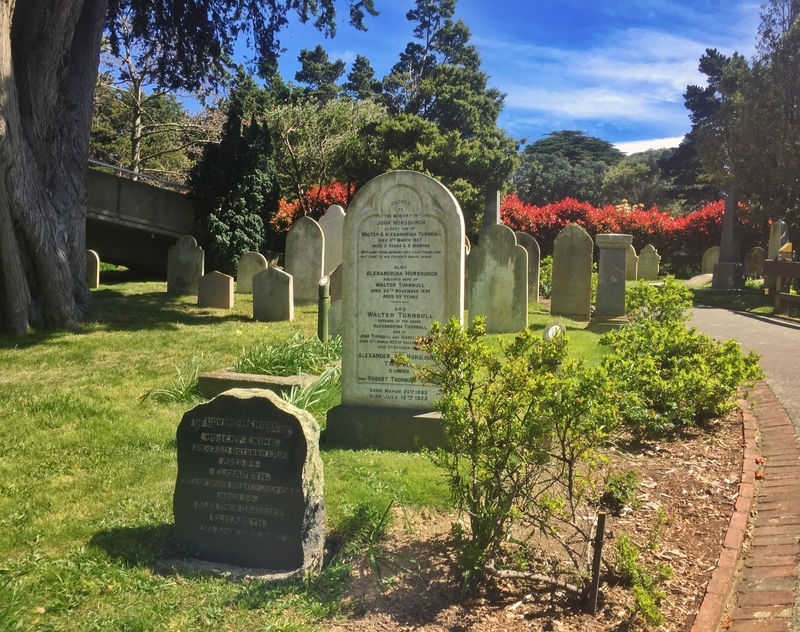 Dating back to 1840, it’s the cities oldest cemetery and there are plenty of information boards for those interested in history. The walkway sticks to the cemeteries main path over the motorway before you exit at the Seddon Memorial. The Seddon Memorial borders the Botanical Gardens. 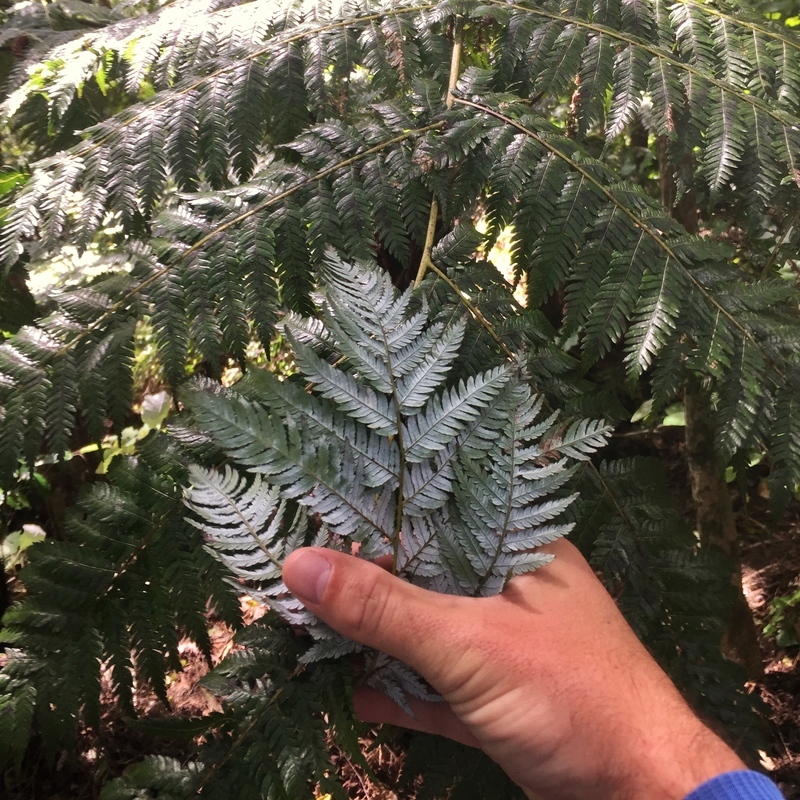 The Botanical Gardens could take up lots of time if you wanted to see everything. You’ll pass Picnic Cafe if you need a coffee or breakfast with a nice view. The walkway meanders up the hill in the shade until you get close to the Carter Observatory at the top. About 50 metres before you get to the Observatory, test out the sundial, I’ve never seen one like it before. And yes, it works. 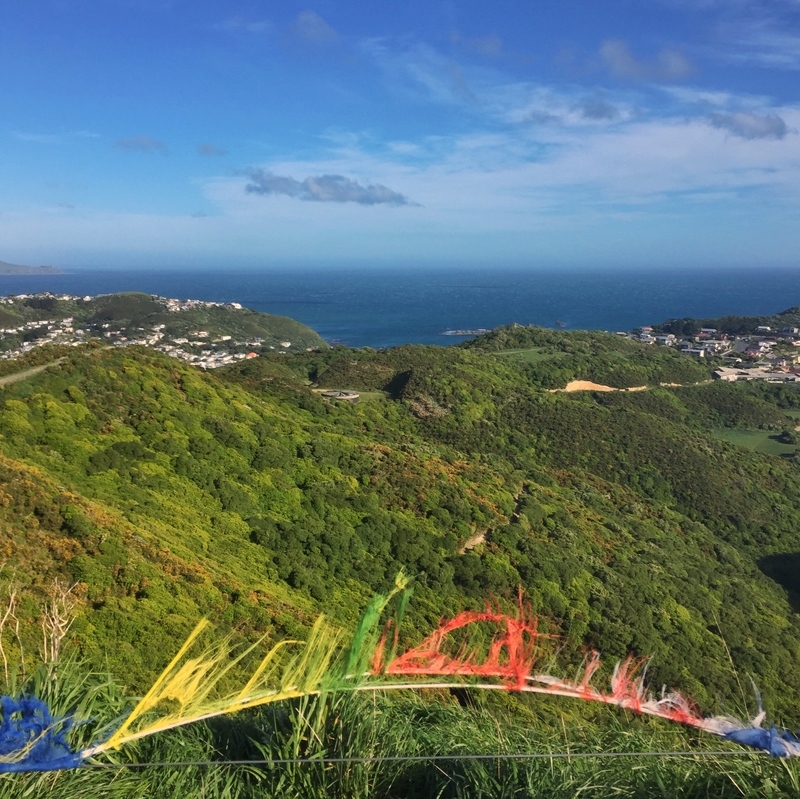 Between the Observatory and the Cable Car (150 metres apart) there are marvelous views overlooking Wellington. Take a peak into the Cable Car Museum too, it’s free! Now it’s time to head down to the Uni via the stairs next to the Cable Car carpark (you can see the stairs left of this point on Google Maps). 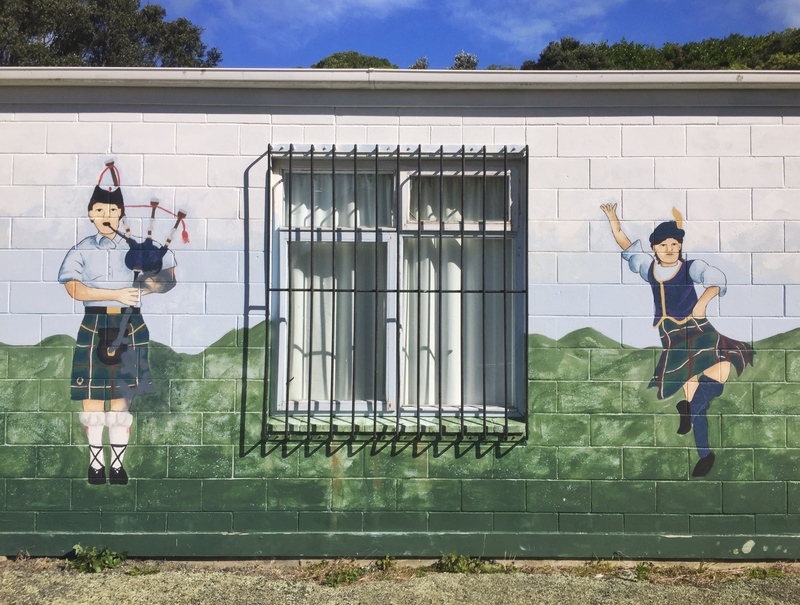 You’ll then do a loop around Kelburn Park where there’s a good spot for a toilet break in this building. Next up, back to some shaded areas before you end up close to Mount Street. Mount Street is a Uni students nightmare as it’s a steep walk to the campus, leaving many a poor soul sweating in lecture theatres. 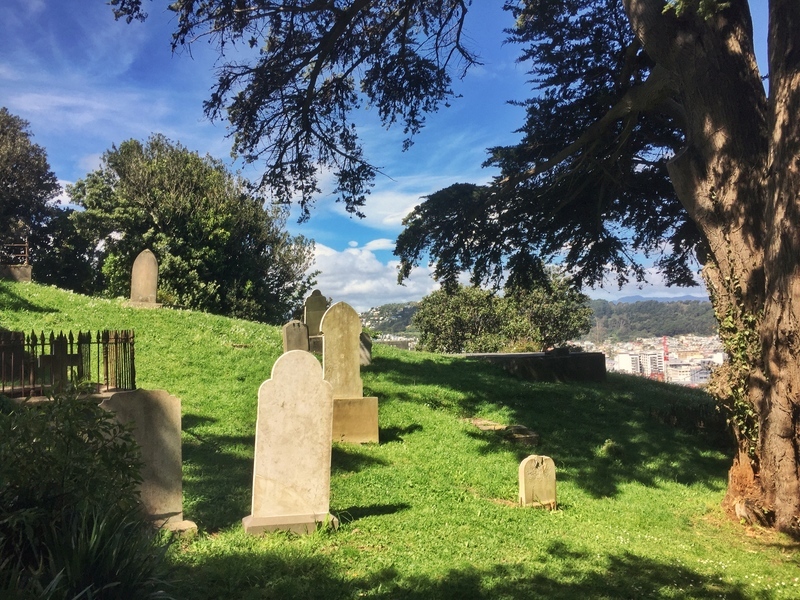 Luckily you only need to walk up a third of it, turning left into Mount Street Cemetery which has another wicked cool view of the city skyline. 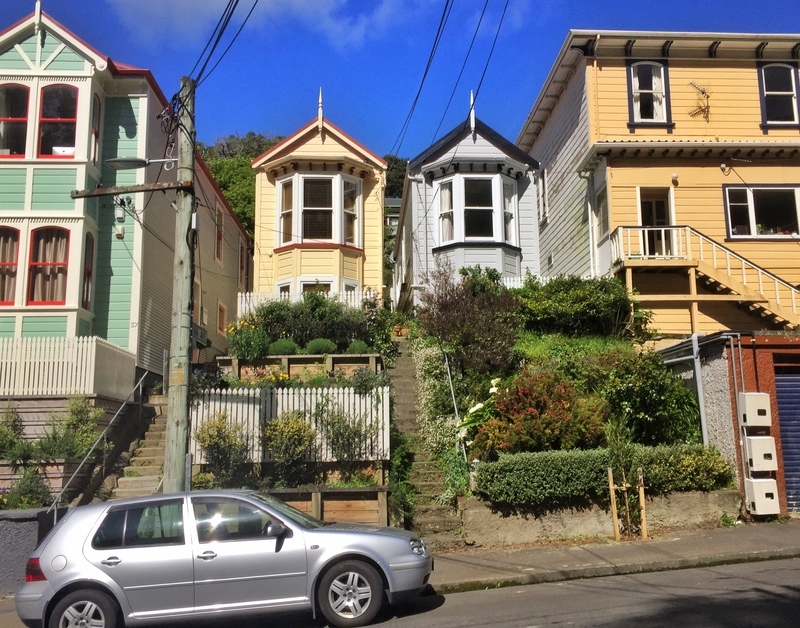 After Mount Street, you weave through some quiet streets until you end up on Aro Street in Aro Valley. This is a great spot to take a break for lunch with a fish and chip shop, cafe, and tap-room among other shops ready to satiate you. 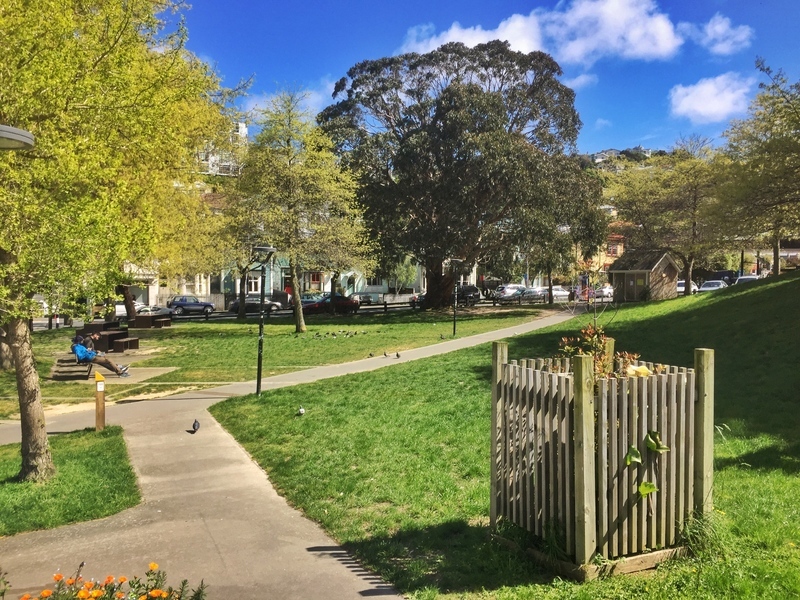 Note: I mention this in the FAQ, but this is a good place to stop the walk if time isn’t on your side etc… The walk from Aro Valley to Cuba Street is no more than 15 minutes, and you’ll have walked the best sections by now (imo). The parks seem to merge into one another, though those who have an eagle eye will notice the differences. Central Park in Brooklyn has lots of seating areas, with a couple of playgrounds and if you want to eat your lunch in a park, this is the spot to do so. There are some short sections where you’ll be on the streets between the parks, but they stick to quiet streets and the signs make sure you don’t get lost. I did find the walk started to drag on with so many parks. I was counting down to the end, thankfully they all offered enough varied views to keep me interested. I’m glad to have completed the walk, as most of the parks I hadn’t ever explored which was nice to sau I’ve done. 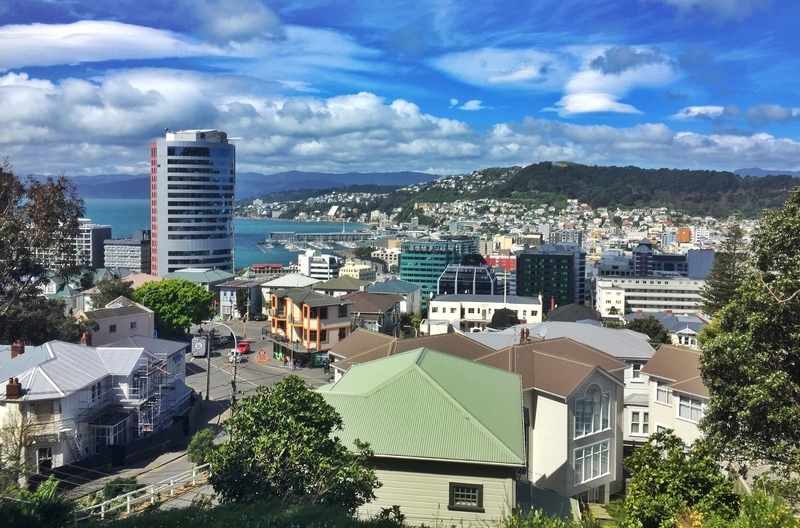 The town belt in Wellington is impressive. 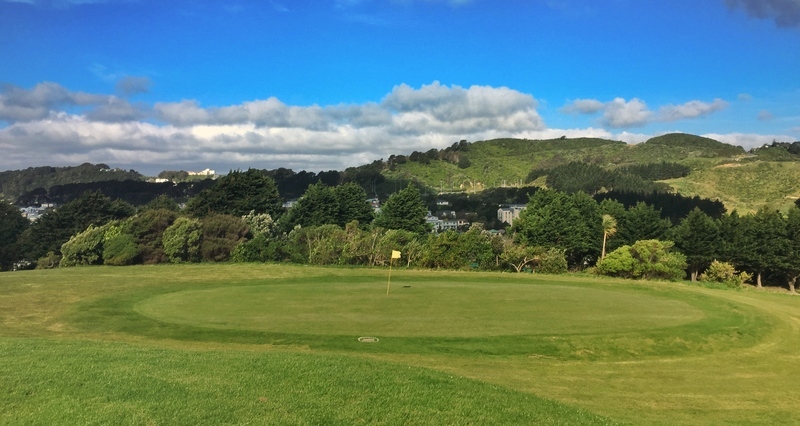 In regards to the golf course, you’re on the edge of the course for 600 metres so be aware of golf balls coming your way, but it’s not what I’d consider dangerous. 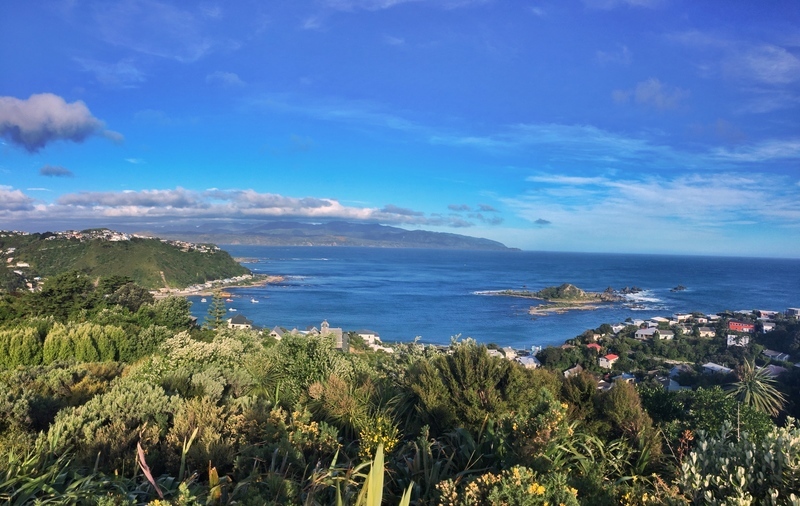 The section along the Tawatawa Reserve is awesome with views of the Cook Strait always impressive. 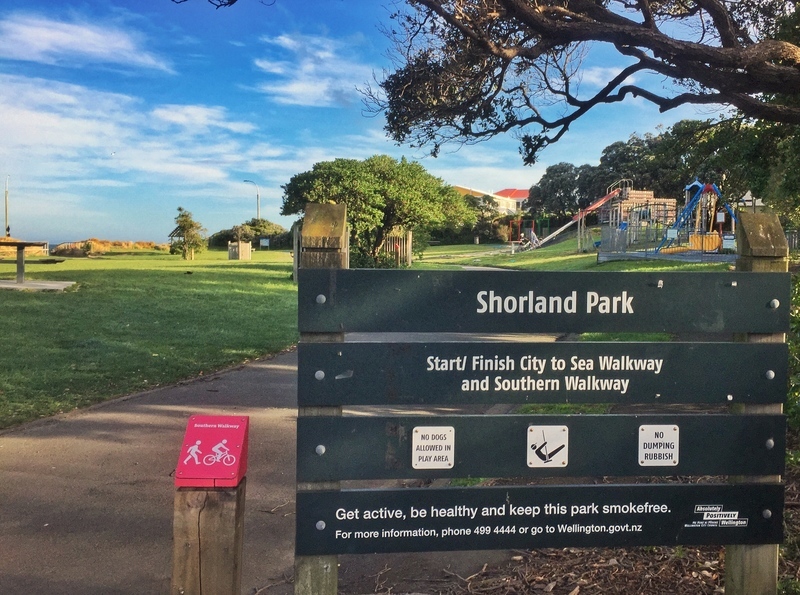 Shortland Park is popular with families, and make sure you celebrate on the slide! 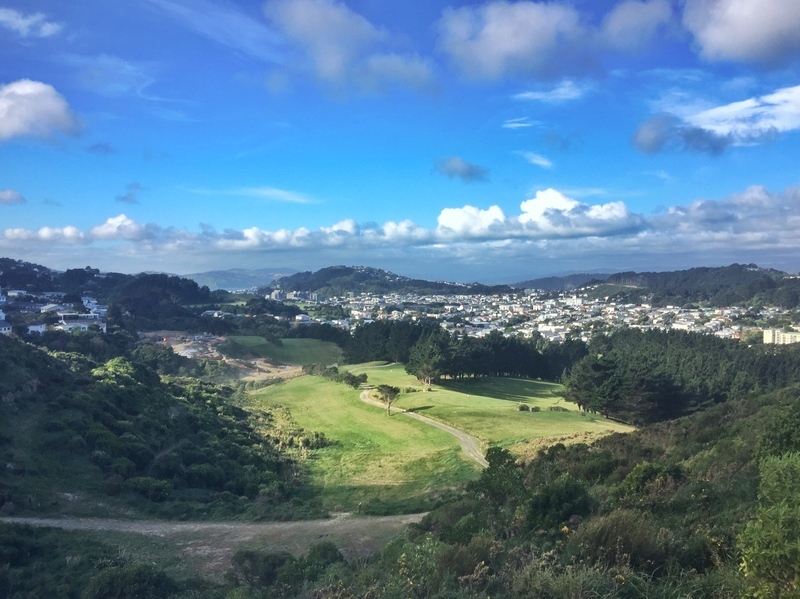 The City To Sea Walk Wellington FAQ etc. As mentioned, the walk from north to south is best and given the start of the walk is right by the Beehive, you’ve got no issues with regards to getting there (walk). 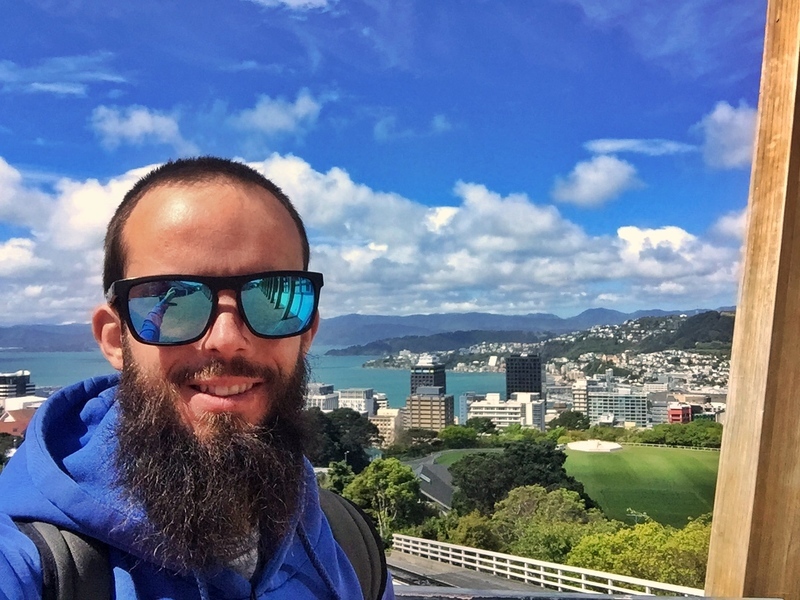 If you’re coming from outside the CBD, all you need to do is get to the Wellington Train Station and walk to the starting point. There’s no place on Google Maps marking the start of the trail, but you’ll see it about here. On Maps.me if you look up HMS Calliope NZ Wars Memorial, you’ll find it. There’s an artwork (this piece) that’s alongside the sign indicating the start of the walk. To get back to the city is simple. 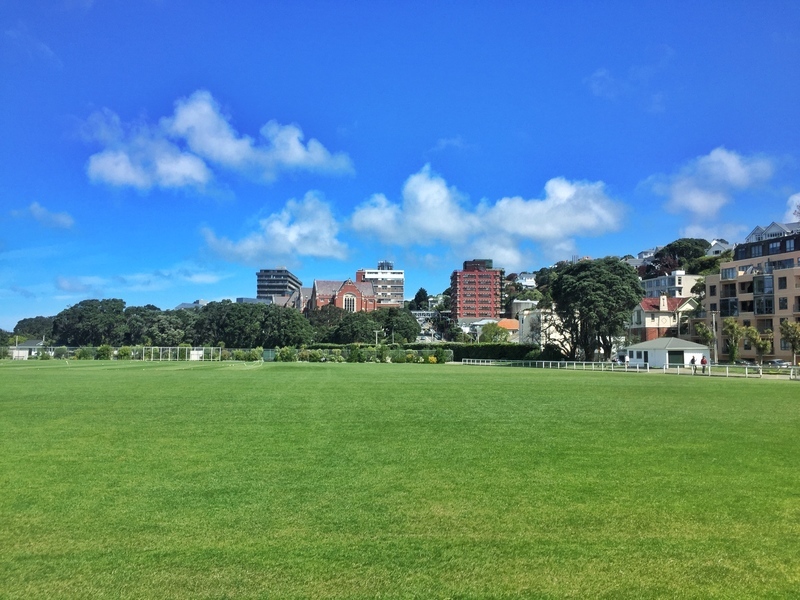 On the north side of Shortland Park (where the walk finishes) is Reed Street, where the #1 bus leaves from. If you don’t have a Snapper card, you’ll need $5 cash for an adult fare. 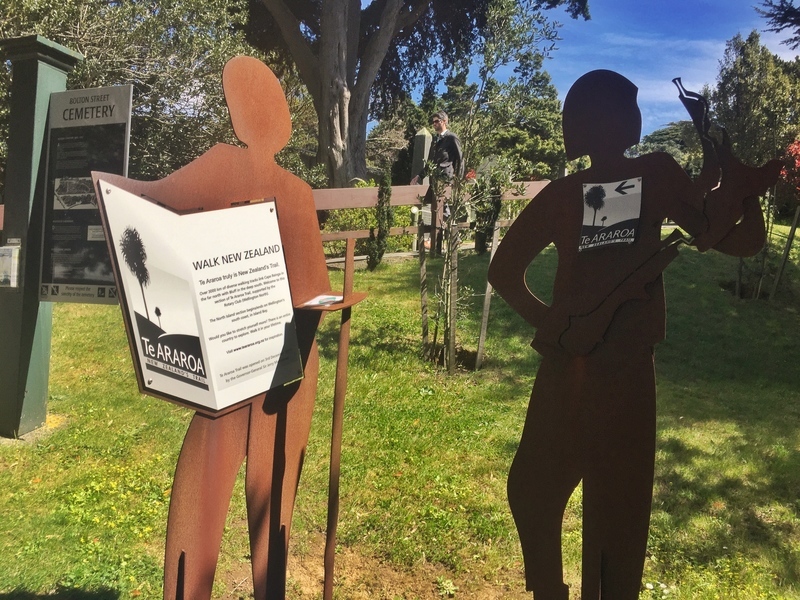 You can view the Island Bay #1 bus timetable here, they are frequent so there’s no need to aim for any particular bus. Is there a track map available? Yup, you can download this brochure. It’s not the best map though, and it’s best combined with using Maps Me/Google Maps to figure out the plan if you get lost. You should be able to navigate the yellow signs without too many issues though. 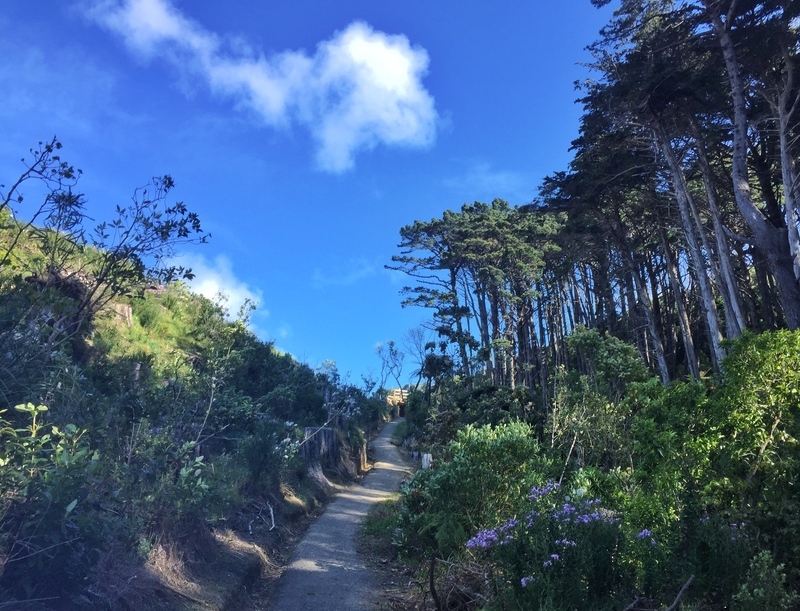 How long does it take to walk the trail? On the brochure it’s suggested it can take 6-7 hours for the walk. It took me right on 4 hours and 30 minutes, which is reasonable. That included two 10-15 minute breaks for snacks and plenty of photos. I didn’t get lost at all. 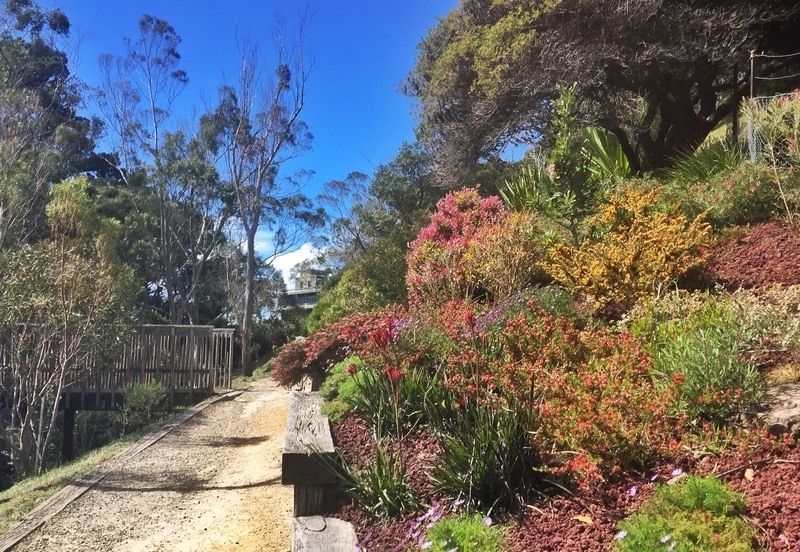 If you plan to stop off at the Botanical Gardens, the Observatory, Cable Car Museum etc. the walk can take much longer. My walking speed is definitely above average so I think 6 hours if a reasonable guideline. Safe as houses. You’re in the city, and other than the constant up and downs, you’re good as gold. Best time of the day to walk? I’d aim to start this walk early-mid morning. I started the walk a bit late, about 1.30 pm and the afternoon breezes generally pick up in the afternoon as you get closer to Island Bay. It’s a long walk, and there can be sections where your mind wanders as it drags on through the green belt. But, if you take it easy and aren’t rushing it’s great. There’s plenty of places to stop and you’re never in the middle of nowhere so can bail out and leave the trail easy enough. Another option is to do smaller portions of the walkway. Walking from the start at the Bolton Street Cemetery through to the Aro shops. 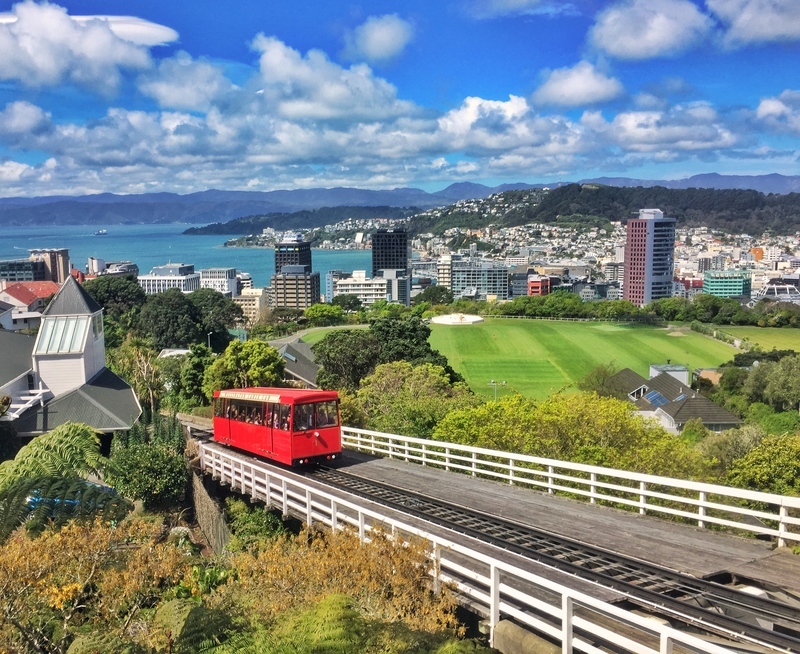 This wouldn’t take more than three hours, you get to see some of the big Wellington attractions and finish up close to the city. There are only 8 reviews on TripAdvisor but it gets a 4/5. The review on there by CarolDM1900 is helpful. 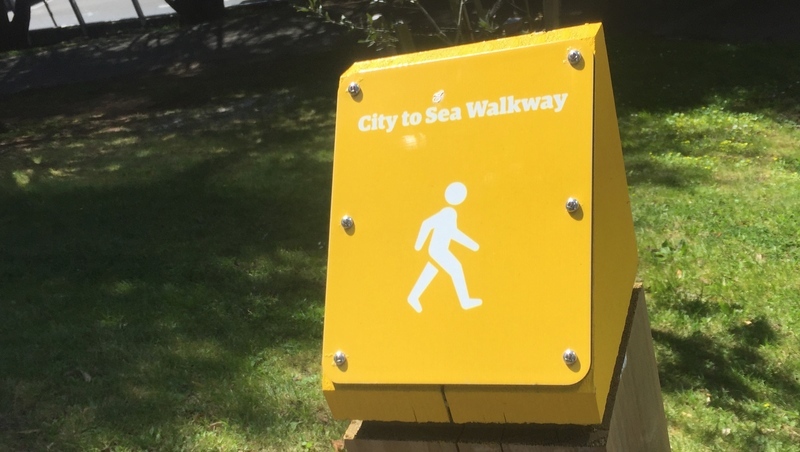 Enjoy your walk along the Wellington City to Sea Walkway. Any questions? Happy to help.